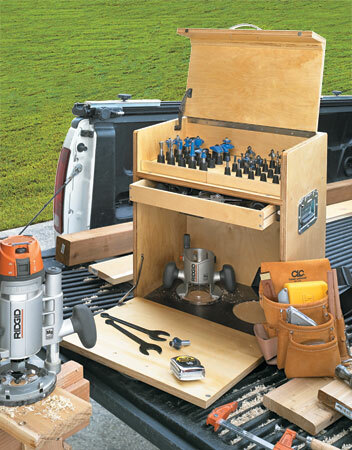 Many portable tool boxes take a top-down approach to storing tools. 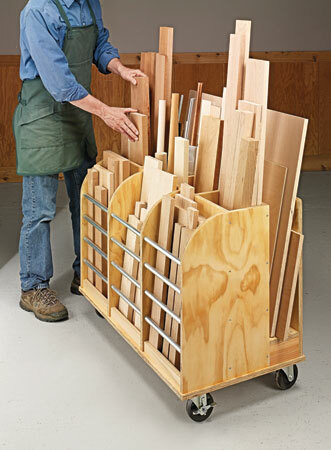 This works fine for storing just a few things. The problem is that the items on the bottom can be hard to find, easily damaged, or forgotten. The tote you see here uses a different method. 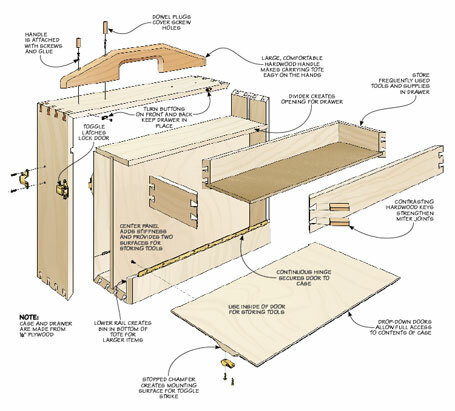 Instead of access from the top, the sides fold down. 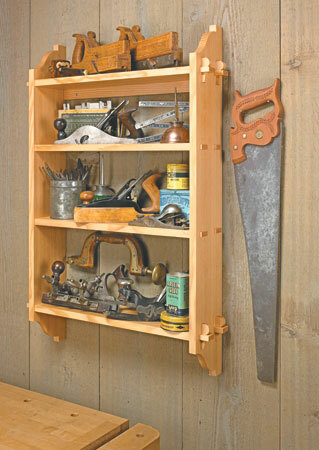 This gives you access to all of the contents without having to move tools out of the way. 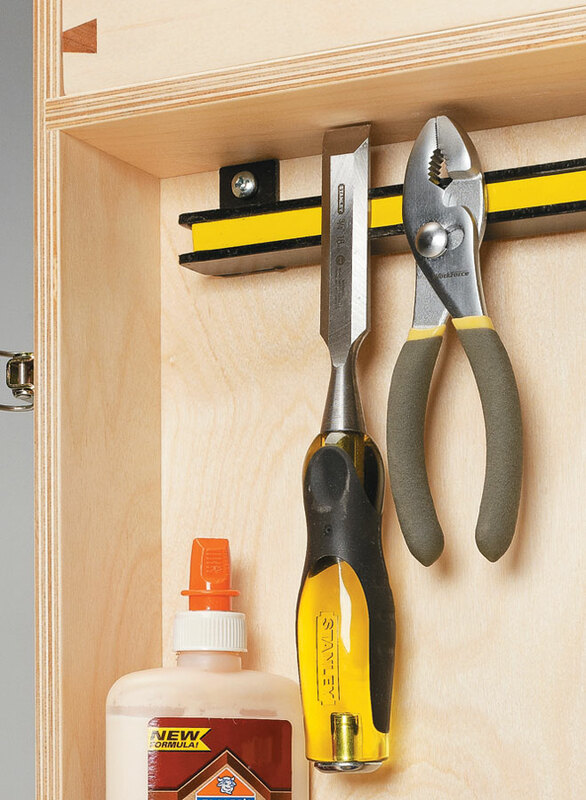 And to keep the tools organized and prevent damage, they’re held securely on simple racks and custom holders. 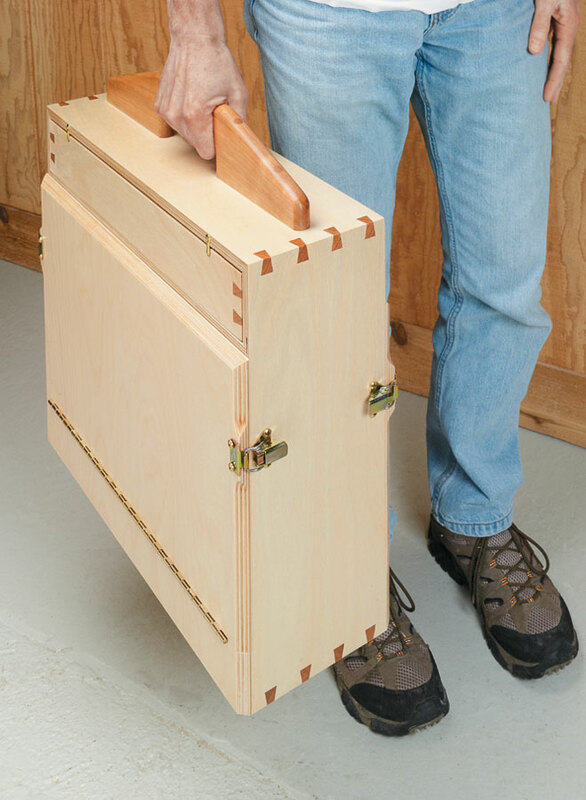 Best of all, you can build this tote in an easy weekend from common materials. 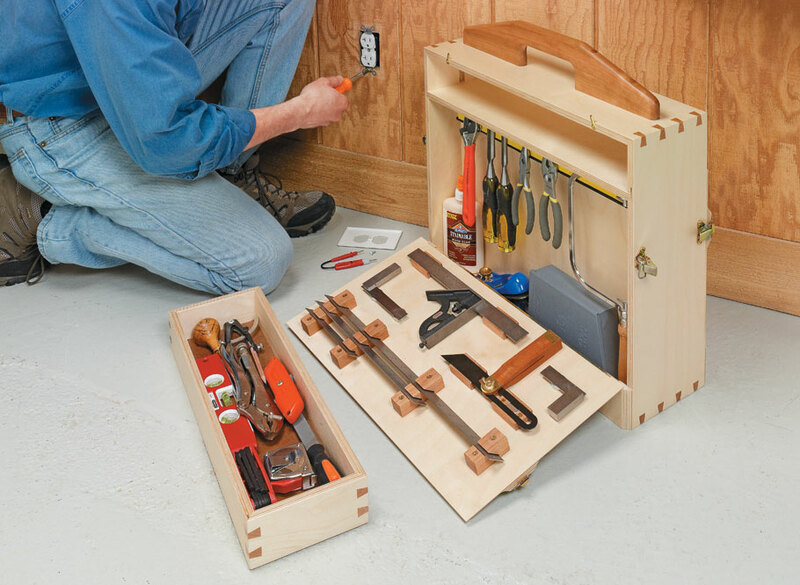 On the jobsite or in the shop, keeping your router and all of its accessories organized is key, and this job box fits the bill.